Anything lemon-scented gets my attention. The freshness of the aroma makes me happy and, sometimes, hungry (lemon thyme anyone?). So, when I encountered May Chang (Litsea cubeba) I was intrigued because the name doesn’t offer any hint that it has lemony undertones. 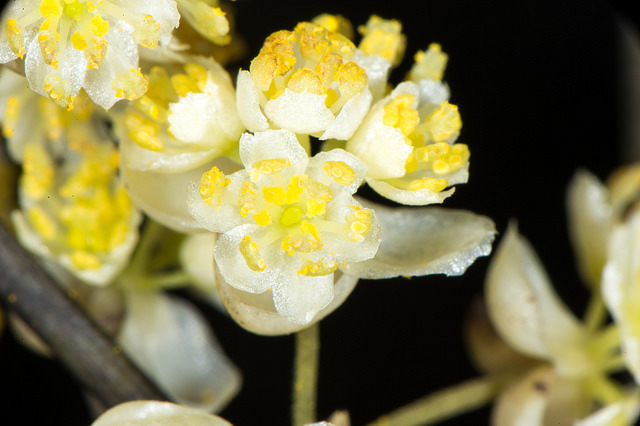 The essential oil is extracted from the pepper-like berries of an evergreen shrub, but it has a cheerful lemony odor. The herb has a long history in Traditional Chinese Medicine where it has been used for asthma, dermatitis, and infections. In Aromatherapy, the essential oil has similar uses because both the herb and the oil are high in a chemical component called citral. This gives May Chang its lemony scent as well as contributing to the aromas of Lemongrass and Lemon Balm. Citral also gives the plant its anti-infectious, anti-inflammatory, and uplifting qualities. During the holiday season, the essential oil can be refreshing and stimulating making it helpful at relieving fatigue and a lethargic mind. Diffusion of the oil can also help to ease the blues while reducing anxiety and stress. Aromatherapists like May Chang for the respiratory system as it aids in the reduction of restricted breathing in asthma. The oil has also been researched in cases of lung cancer. It was noted that when the essential oil vapor is inhaled, “normal lungs cells are not (adversely) affected whereas (the) same dose effected considerable mortality of lung cancer cells.” Inhalation also halted the progression of the cancer cells offering the conclusion that May Chang may benefit those who have lung cancer. May Chang is an effective germ killer making it useful in treating cuts, wounds, ringworm, and insect bites. The essential oil is also antiviral, in particular against the herpes virus. There are many studies showing Lemon Balm’s success with herpes, so Litsea Cubeba may be a less expensive alternative. The essential oil can combat acne because it is anti-infectious and anti-inflammatory. However, May Chang can be a skin sensitizer and should be used with caution on sensitive skin, especially that of the face. Be sure to use no more than four drops in an ounce of carrier oil such as jojoba.